If you just make one change to your tech habits right now, what would it be? This article is not (yet another) resolution-setting checklist list, I promise! It’s easy to get overwhelmed by all of our goals for fitness, better work habits and (for me) home organization. Instead of trying to change everything about your family’s tech habits, perhaps you can reflect on changes you want to make and focus on creating new tech habits that support your life. Just try not to get overwhelmed. 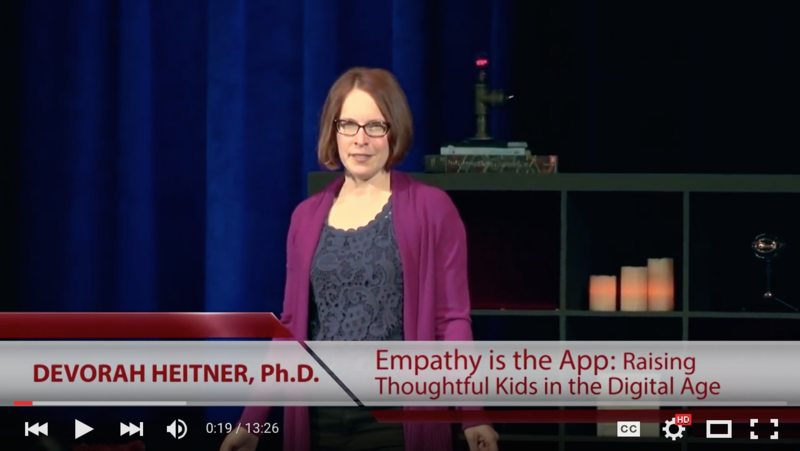 Are we being the best mentors to our kids and modeling tech-positive behavior? For some big ideas on this front, check out my mentorship manifesto. And then come back here and choose just one thing you’d like to work on, for now. Once that’s underway and feels good, you can pick one more thing. Why just one thing? All the research on human behavior suggests that we can’t change all of our habits at once. If your child received a new tech device over the holidays, you might already be looking to set up some new boundaries and habits. Join other parents in Phonewise Boot Camp to work on this in a fun and structured way. If you prefer to DIY, take a friend to coffee who has a child with a connected device and pick their brain about what they wish they’d known, before they got their kids that device. Is there anyone in your family who is sick of being tech support? What is some knowledge they could share in a one-time workshop, tip sheet or video that can be other family members can consult the next time your go-to techie isn’t available to troubleshoot? Would better password hygiene or a password app be helpful to your sanity and security? How is sharing devices and accounts working for your family? Are there digital subscriptions you no longer need? Is it time to offer your child a digital “allowance” for digital spending? Check out Screenwise: Helping Kids Thrive and Survive in Their Digital World for more on this topic and other tips on family life in the digital age. For my own family, better password planning, and hygiene are on the agenda in a big way. Kids need to know how to create secure passwords—and how to record them somewhere safe. In our family, one person was reusing passwords in an unsafe way while another was an expert at crafting tough passwords, but bad at remembering them. It was a nightmare! Where is sharing working and not working? Sharing an Apple ID has been mixed for many families I talk with, with unintended privacy issues (like your kids having access to your email). It’s always a great time to check on digital subscriptions you can eliminate or downgrade. On the other hand, my spouse and I were frugally sharing a Spotify account, but every time I went to the gym (my primary zone for music), I’d get texts from my sweetie about killing his jams. I was ready for my own big-girl Spotify account instead of sharing with my husband. Just came back from the gym, and it was worth every penny! Ever since your kids were little, you’ve come to learn just how much your kids will do what you do, and not what you say. When I work with kids at schools they tell me that they’re observing some of our most unfortunate tech habits. The good news is that you as a parent are still a top influencer in your child’s life, and you can model good tech behavior to help set your child up for success with balancing the role of tech in her life. If the first thing you reach for each morning after your alarm sounds is your smartphone, you’re answering emails during breakfast, and listening to voicemail on the ride to school—think about how these actions, though a mindless part of your day, appear to your child. Consider how you want your family to interact with their tech devices, then, before setting up some new family rules, first explore how you might modify some of your own tech habits. What are you really doing on there? While your kid is on their video game console, ask about what they’re playing. Are they playing with anyone online? If your child is a new social media user, ask about the kinds of accounts they follow. Are they popular brands? Celebrities? Who are their friends? Do they know them in real life? Ask them to show you examples of social media profiles that they think are cool, and others they think are inappropriate. The more that your child can articulate about their standards, the more you’ll know where they need mentorship. If you create just one new habit this year, this one might be the most beneficial in setting your children to be considerate in their digital socializing. If your kid is old enough to understand and care what you share, don’t share another picture of them online without their permission. Before they reach that age, share with consideration for their future sense of privacy and identity. When you ask your child for the thumbs up to post a picture from your phone, it sends a message of trust and respect and teaches your child that any images of them are theirs—and theirs alone. It helps your child to recognize that sharing is a choice and that some things can and should be kept private. He’ll feel more confident to be assertive about his privacy with friends, too. If your whole family could use a little intention-setting, take some time where everyone is relaxed and ask each family member to talk about any new tech intentions they have for the year—both for themselves and for other family members. Maybe one of your kids wants to try a new way to avoid digital distraction during homework. Maybe one of the grownups wants to check email less frequently. While it might be hard to hear, asking your kid to share one of your tech habits that they’d like to see you change can be eye-opening and help you to set and stick to new habits. This is also a great opportunity to revisit what your family’s unplugged time will look like each day and each week. Should everyone stow their phone in the kitchen overnight, or in a parent’s room? Could you all switch your devices to airplane mode starting at dinner time? Visiting just one habit at a time, you can make small changes, one by one to become a great digital mentor for your child. For some more ideas on mentorship, check out this article.